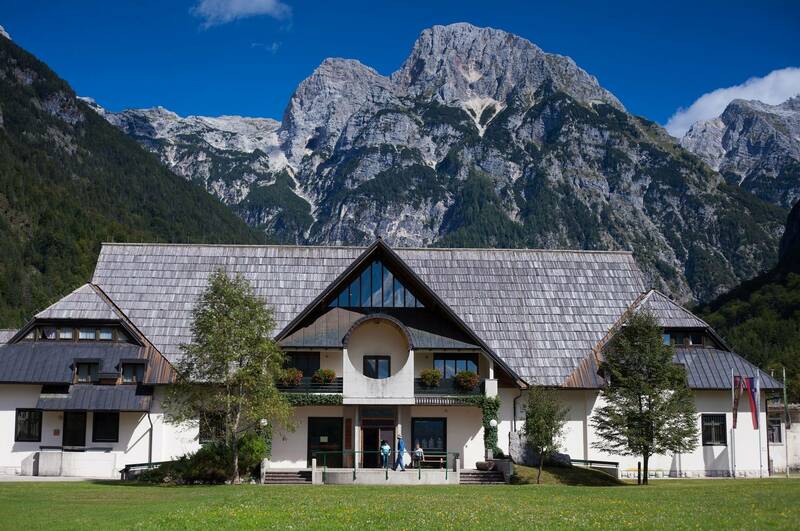 From the mountains around Kranjska Gora, to the village of Kobarid along the Soča river banks through alpine pasteur and the dramatic Vršič pass. 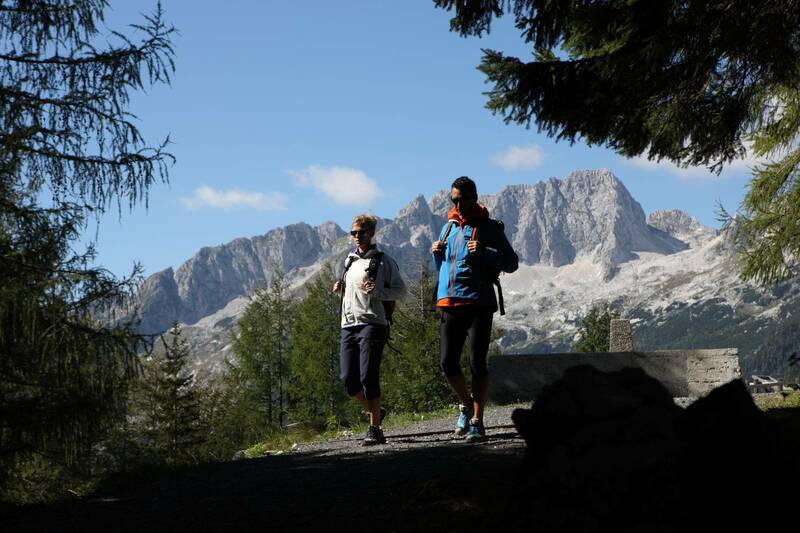 Our self guided 5 days 4 nights hiking trip, includes the scenic stages 23, 24 and 25 of the Alpe Adria Trail. 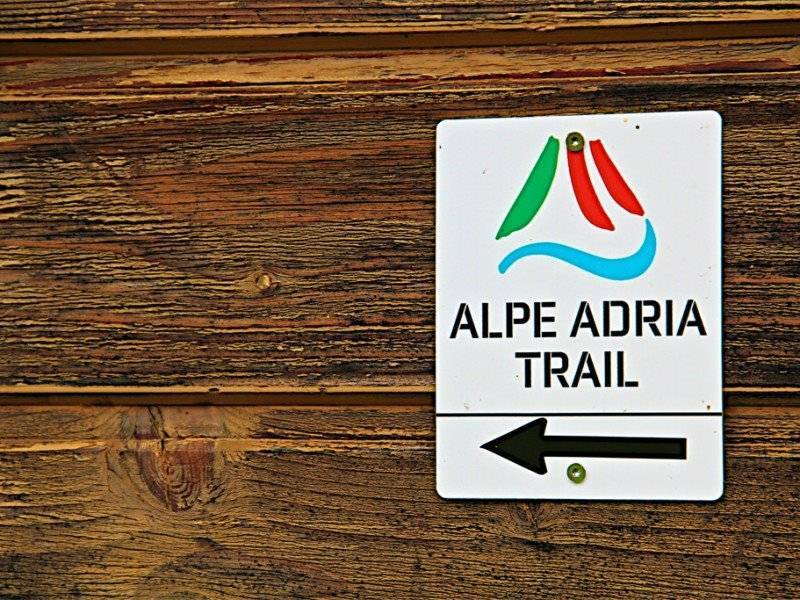 The Alpe - Adria - Trail is a newly developed long distance hiking path ( 43 stages) from the foot of the Grossglockner to the Adriatic sea and the town of Muggia. 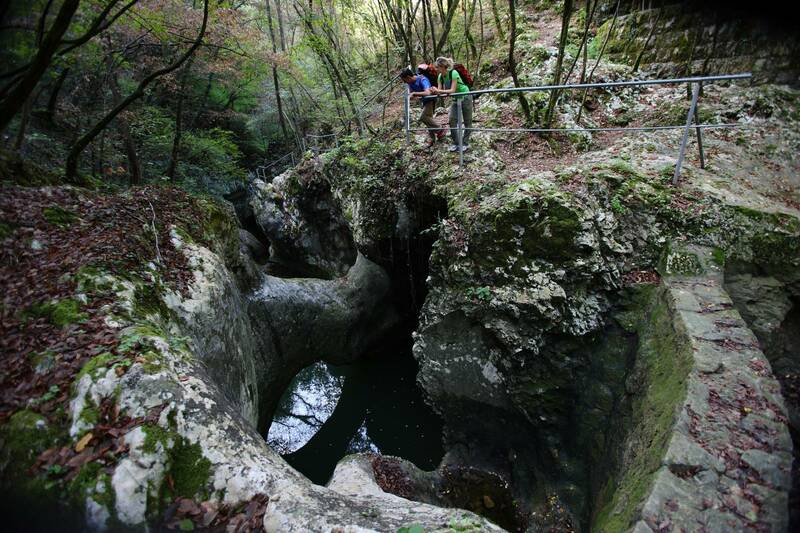 The trail was jointly developed and impemented by three partners from Austria (Karnten Werbung) Slovenia (Slovenian Tourism Board) and Italy (Friuli-Venezia Giulia Tourism Board). 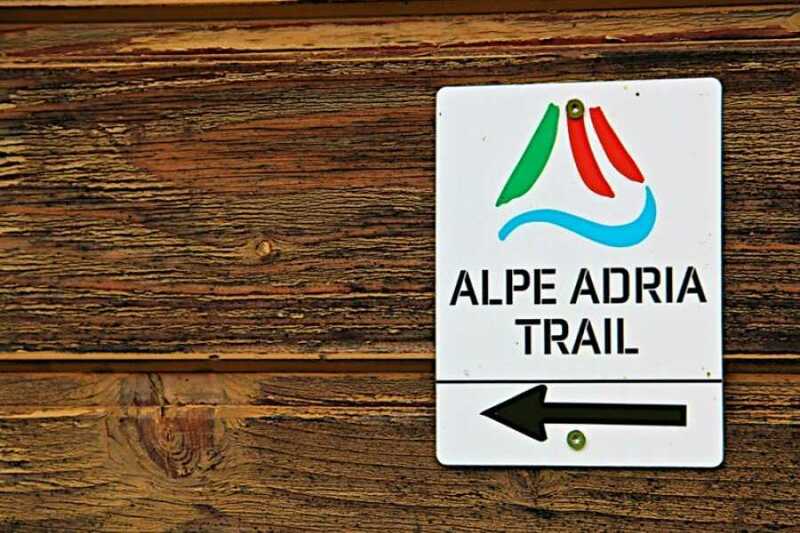 The Alpe - Adria - Trail crosses three countries and was conceived as an easy-to-walk pleasure trail in mainly non alpine terrain. 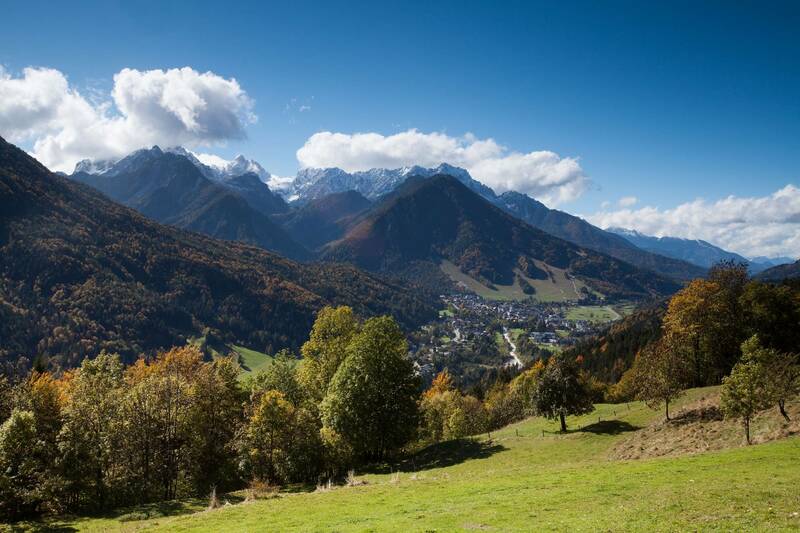 The route leads along existing paths of accordingly good hiking quality and has given the theme " Hiking in the Garden of Eden"as a metaphor for the great variety that is encountered on the south side of the Alps and in the Alps-Adriatic region. 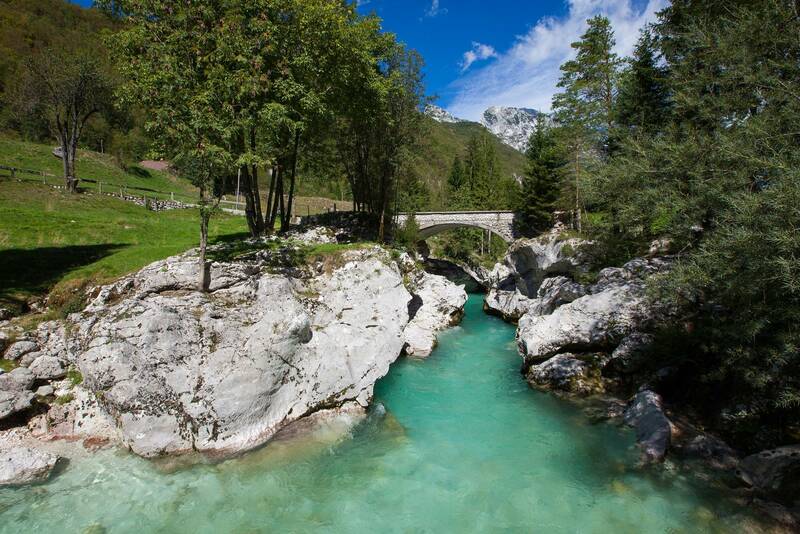 Whilst hiking from the glaciers of the Hohe tauern mountain range, along lakes,brooks and rivers to the Adriatic coast, one gets to know the cultural diversity of three different countries connected by a common history and past. 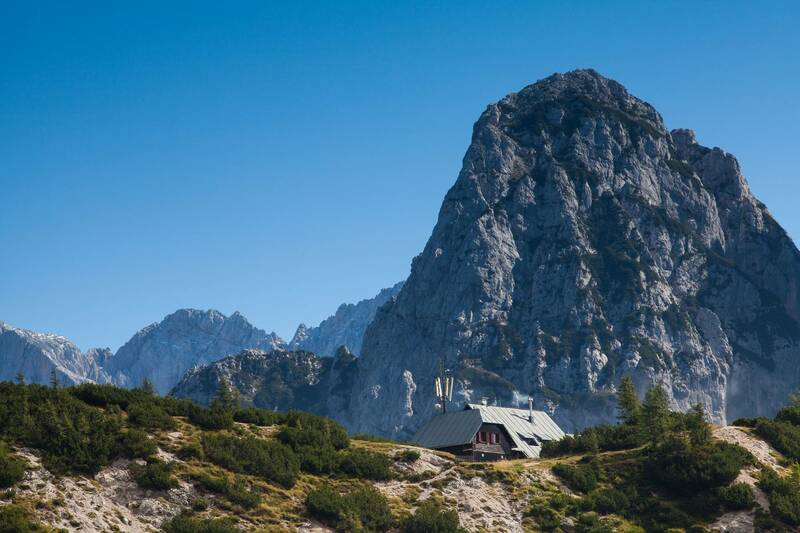 This stage leads via the Vršič Pass, the highest mountain pass in the Julian Alps. Hikers can enjoy the picturesque view of the stunning north faces of the highest peaks. Difficulty: moderate, distance: 17.8 km, ascent: 962 m, descent: 1146 m, duration: 6:30 h.
This stage takes you along the marked and well tended Soča Trail. 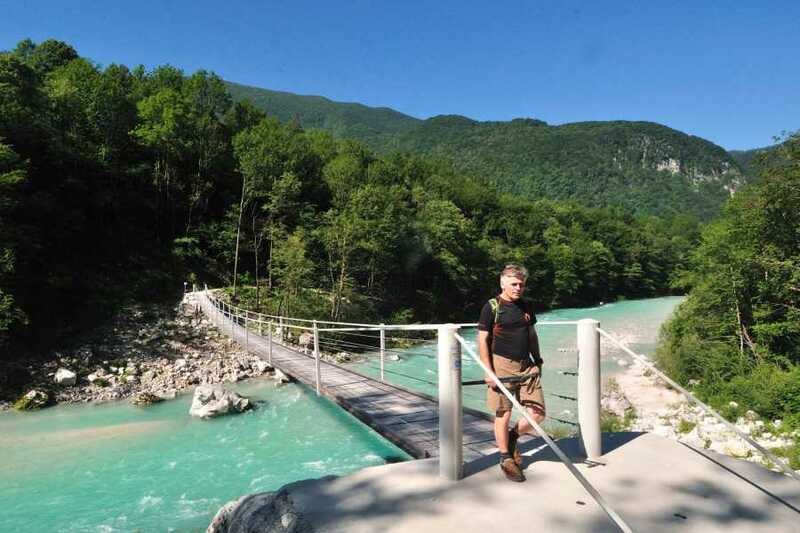 At the bridge over the Soča near Kršovec, which is close to the Triglav National Park, your route continues towards Jablance and Bovec. Difficulty: moderate, distance: 20,9 km, ascent: 571 m, descent: 736 m, duration: 6:00 h.
A large part of this picturesque stage runs along the left bank of the River Soča, before turning away from the river towards the end of this stage. 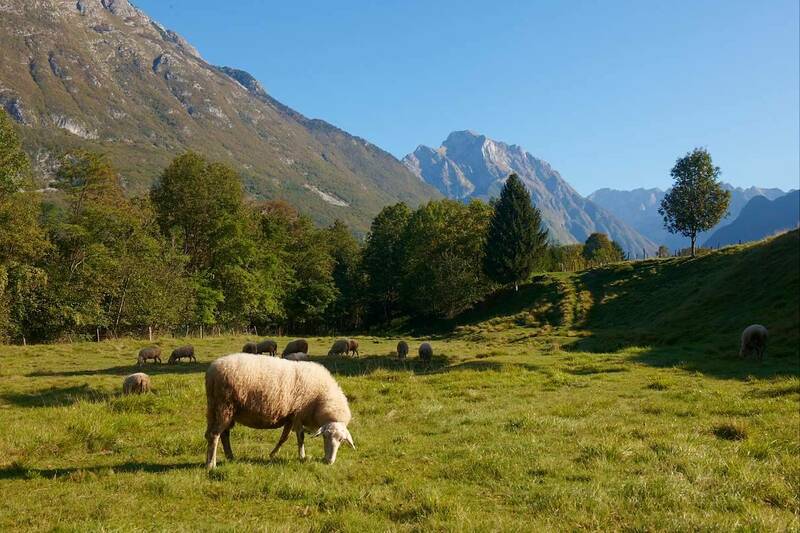 The route then leads up to the delightful village of Kobarid. Difficulty: moderate, distance: 25.2 km, ascent: 1176 m, descent: 1105 m, duration: 6:30 h.
End of our services. Time to greet your new travel friends. On request is possible to arrange transfer back to Kranjska Gora or to the nearby airports of Trieste, Venice, Ljubljana.